– Personalized recommendations: companies will be relying on analytics from retail profiles to target their marketing in ways that will recommend products and services based on an individuals likes and dislikes (also known as buying/search patterns). This post from PSFK Labs does an amazing job of outlining the concept of personalized recommendations (love their info graphics! ): http://www.psfk.com/2014/11/7-items-need-know-today-63.html . An example you may be able to relate to for this type of service is when you get emails from companies you online shop with (Amazon, Indigo, etc.) that send you “we think you would like these products” messages. I don’t know about you, but often these recommendations are spot on! I find it quite convenient myself. 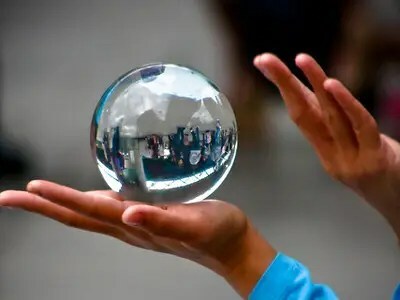 –Insight, not hindsight: There was an article posted by Business Analytics 3.0 and they used the term “insight, not hindsight” to describe how companies will conduct business in the future. Rather than focusing on historical data, they’re looking for a fulsome view of the customer in real time…what do customers want right now? And they’ll be looking to retail profiling to hone this data and make their future business decisions. More about this model here: https://practicalanalytics.wordpress.com/predictive-analytics-101/ – I think this is a great concept on many levels…stop focusing on what has happened before and start looking at the right now and future as a focus. –The always on customer: Have you heard of the term “hyper-digital consumers”? There was an excellent Forbes magazine article called “Divining the Future” that all retail profile marketers should read: http://www.forbes.com/sites/onmarketing/2014/02/27/divining-the-future-the-always-on-consumer/ and it discusses how customers of the future are constantly connected (this article uses the figure of the average consumer consuming online content for 7 hours per day). This is a huge aspect when it comes to retail profiling as incorporating this layer of consumer behaviour will be paramount when planning how to market to this type of consumer. When a customer is constantly connected; the content needs to be able to keep up with that customer. This is a brief summary of the top future happenings in retail profiling according to what I’ve found in my research on the topic; it makes for an interesting forecast in the world of retail profiling…I’ll be staying tuned as this marketing trend continues to unfold, will you? What’s New in the World of Retail Profiling? Retail Profiling – What is it?